STOCKS | With drug sales slowing, some investors are BAILING OUT OF MERCK. Should you? MERCK'S reputation as a monster stock is at stake. Its price has tumbled 28% from its peak in late 2000, a stunning setback for shareholders of the world's second-biggest pharmaceuticals maker. In part, this is payback for Merck's laughing off the early stages of the 2000-01 bear market. Its shares soared 40% in the final nine months of 2000, while Standard & Poor's 500-stock index fell 12%. But since the start of this year, many investors, concerned about an uninspiring sales outlook, have been bailing out. "For years, it was the king of pharmaceuticals," says Ken McQuade, an analyst at Waddell & Reed, in Kansas City. "But it's no longer the largest or the most consistent grower." Two companies in one. 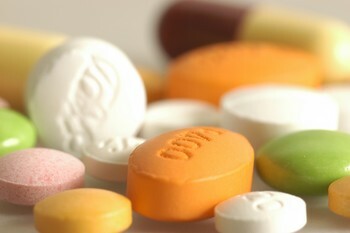 Like rivals such as Bristol-Myers Squibb, Eli Lilly and Pfizer, Merck develops a wide range of prescription drugs. But unlike its chief competitors, Merck is really in two businesses: drugs and employee benefits. It derives half of its sales from Merck-Medco, which contracts with insurers to distribute drugs and administer benefits. Sales at Medco are growing about 50% this year, while Merck's drug revenues are growing just 6%. But profit margins for Medco's service business are much lower than the margins for drugs, so Merck's overall profit margin is falling. Investors might forgive the Medco profit drag if they could count on some sizzling new drugs. But Merck faces several near-term challenges on the drug side: It recently lost or will soon lose patent protection on five important drugs, including the U.S. rights to Prilosec, a popular treatment for heartburn. That puts some 21% of its annual drug sales of $20 billion up for grabs by makers of generics. Meanwhile, sales of Vioxx, an anti-inflammatory drug, have lagged. Merck predicted that the drug would generate $3 billion to $3.5 billion in sales in 2001. But through the first half of the year, Merck moved just $1.2 billion worth of Vioxx. A thin pipeline. To make matters worse, analysts see no new big products in development to goose growth. Merck has a few products in late stages of clinical trials, but no major new drug is likely to win government approval before late next year. Merck says the doubters underestimate its formidable line of products already on the market. Treasurer Caroline Dorsa says the company is relying on five "key growth drivers": Cozaar (for hypertension), Fosamax (osteoporosis), Singulair (asthma), Vioxx and Zocor (cholesterol). "Four of these compete in markets where at least 20 million people in the U.S. are not being treated for these conditions," says Dorsa. Sales of Vioxx, she says, will pick up once the drug wins approval for applications beyond arthritis pain. The other four are meeting or exceeding Merck's forecasts, she adds. Merck's stock sells at 20 times 2002 earnings estimates. That seems a fair price for a world-class company that, for all its problems, will generate some earnings growth even in a lousy economy. But don't expect any big gains until investors feel more confident about drug sales. notice of this versatile packaging board.